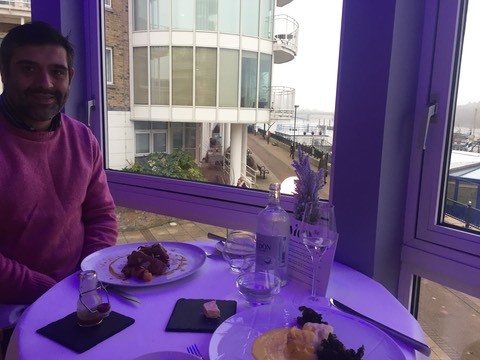 Kathy Mcguinness checks out the vistas and menu at this beautiful new pier-side bar and restaurant in Putney. I visited with Mr McGuinness, my Darcy for the Day, who loved the food especially the beef tartare starter served in a Reggiano crown with cured egg yolk and cep dust. 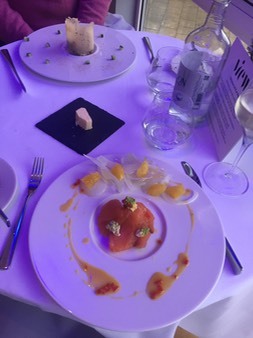 I was also super-impressed with my home-made smoked salmon starter, which arrived at the table still smoking. Adventurous mains, imaginative puddings and a superb selection of organic wines do not disappoint and the exceptionally knowledgeable and friendly service is the perfect�accompaniment to the impressive menu. The newly-opened restaurant and bar is very relaxed and family friendly, children are always welcome. The children's menu is healthy and fun and the downstairs space is great for buggies and toddlers. A lovely way to while away a few hours with family and friends in Putney in this beautiful spot by the river. 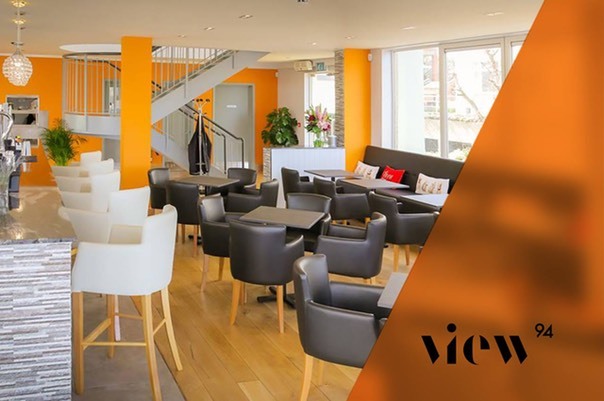 Located east of Wandsworth Park and a fraction south of the river, View94 restaurant and bar offers an elegant and refined dining experience to all those who step through the door. View94 offers fantastic views of the river from both downstairs and upstairs. A modern lounge bar that offers light menu all day, bespoke cocktails and also Brunch on Saturdays and Sundays. The venue's swish Champagne bar on a private pontoon overlooking the river is also available for private hire or more casual dinners, and proves an enormous asset when the sun is out.